The £233 million M6 J16-19 Smart Motorway upgrade programme aims to conquer traffic congestion and reduce delays between Crewe and Knutsford by introducing new signalling technology, variable speed limits and converting the hard should to a traffic lane. The concrete design provided by Tarmac had to be compatible with the current road surface which had been contaminated by chloride. This was a big task but the materials dug up from Delyn were key in overcoming the challenges. The quarry also provided aggregate for the Mersey crossing. The quarry provides many decent jobs and they have been working hard to minimise their impact on the surrounding environment. I always enjoy being able to visit our heavy industry sites in Delyn. 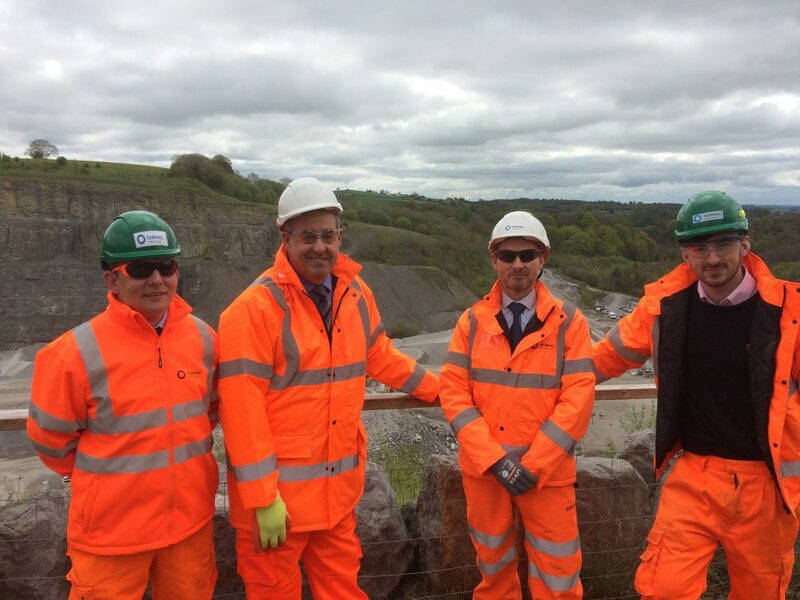 Not only does it give me an excuse to wear hi-vis but it gives me the opportunity to see how Flintshire is providing the materials needed to keep Britain on the move. Tarmac told me that the aggregates extracted from the site were being used for the new ‘Smart Motorway’ junction on the M6. The first of its kind in the UK and will hopefully set a new standard for construction not just at home but abroad as well. It is important that quarries hold themselves to high standards of environmental protection and I know Tarmac are trying their hardest to do just that. We need to make sure that they have the support they need to secure the future of the surrounding natural environment and the communities in which it sits.